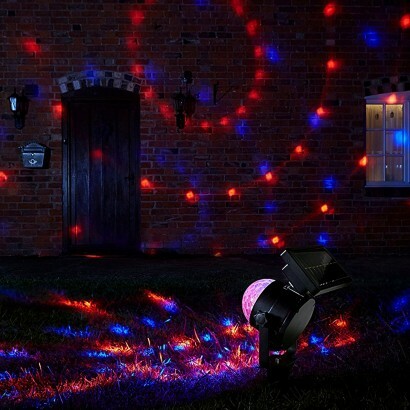 Project incredible rotating spotlight effects onto your home or features in your garden such as fences, walls and shrubs with a colourful solar spotlight! 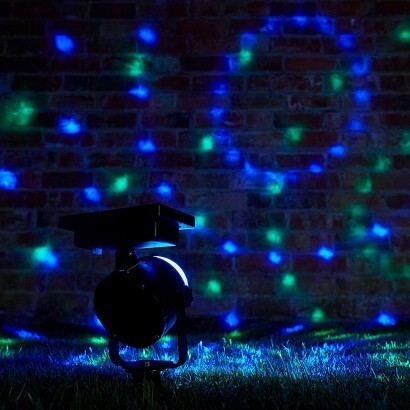 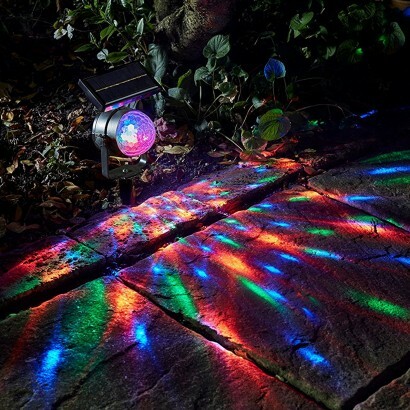 Perfect for parties, BBQ's, Christmas and more, this rotating spotlight projects a multi coloured light show into your garden with colourful spots making up circles of light. 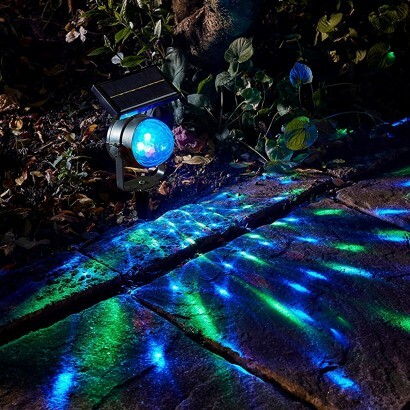 Solar powered, there's no need to hook up to the mains, simply place in your garden and secure with the stake included, allow to charge and when darkness falls, this solar spotlight will come to life in an impressive light show.